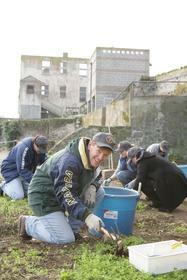 SAN FRANCISCO, CA -- (MARKET WIRE) -- April 4, 2007 -- National Volunteer Week is April 15-21, a time for nonprofits nationwide to both recognize and engage volunteers. In coming weeks, the popular VolunteerMatch.org online service is expecting a surge in activity and is preparing to welcome as many as 250,000 visitors during the annual celebration. "National Volunteer Week is a time to capture the irrepressible spirit of volunteerism," said Greg Baldwin, president of VolunteerMatch. "It is also an opportunity to explore the variety of engaging and imaginative volunteer activities available in our neighborhoods." Volunteers may also choose from a variety of interests -- three of the most popular categories are "Children & Youth," "Animals," and "Education & Literacy" -- to refine the list of available opportunities, match themselves and make a difference. Getting involved is as simple as "point and click." "VolunteerMatch has given us a group of bright, educated volunteers with life experiences," said Mary O'Conner, founder of F.A.C.E.S., a nonprofit agency in Orange County, California. VolunteerMatch has helped transform the way nonprofits reach out to the community, engaging a new generation of volunteers in meaningful ways to contribute their time and talents. As a result, volunteers have generated nearly 3,000,000 matches to the 46,000 local nonprofits registered with VolunteerMatch. "Seeing my work being used to help an organization as important as the American Red Cross is definitely what I enjoy most," said Virginia volunteer Chris O'Brien. "VolunteerMatch was essential in giving me that first connection." Make A Difference Today: Connect for National Volunteer Week @ www.VolunteerMatch.org. VolunteerMatch is where volunteering begins, enabling anyone to find local nonprofits by ZIP code, get involved based on skills and interests, and support a community network of individuals, charitable organizations, and socially responsible businesses committed to civic engagement. Since 1998, VolunteerMatch has helped volunteers make nearly 3 million matches to 46,000 nonprofits throughout the United States, earning the national nonprofit worldwide acclaim, two Webby Awards, and recognition from The White House. Make a difference today at www.VolunteerMatch.org.